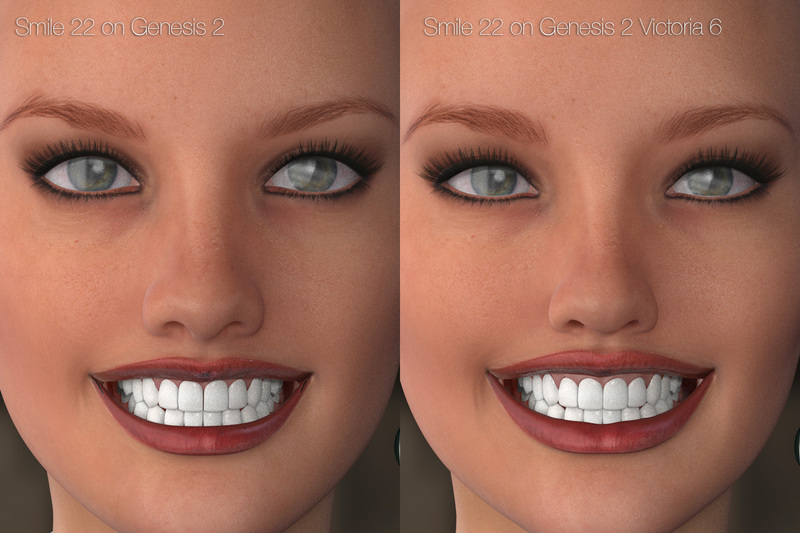 Smile Delight for Genesis 2 Female(s) is a pack of 25 custom smiles (totally independent from Genesis 2 Female base or morph dials). 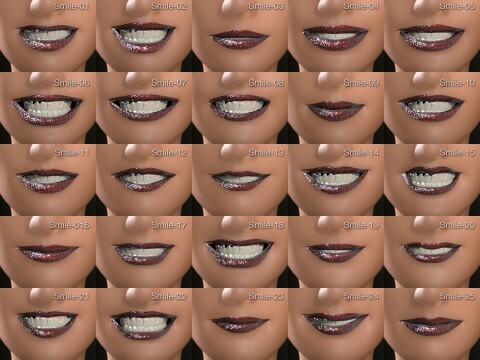 These smiles can be mixed with one another, or mixed with existing expressions or morphs. 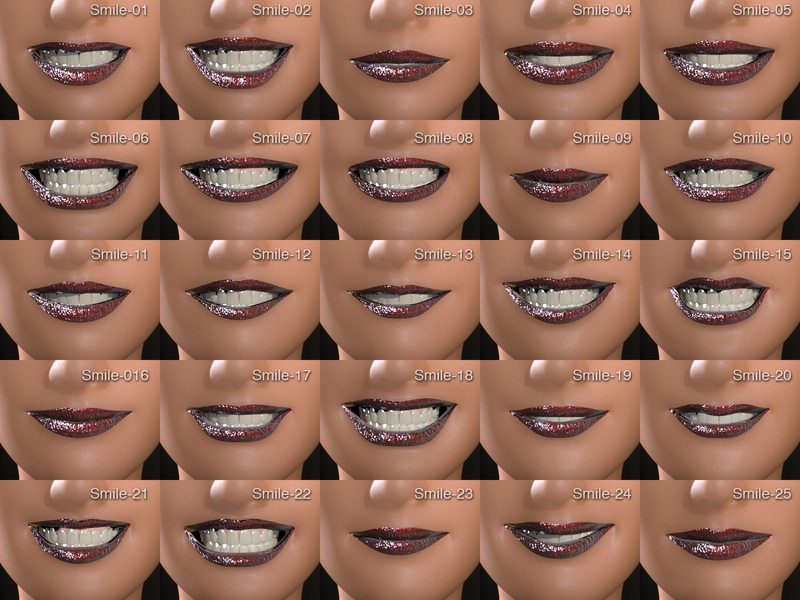 These smiles are pose modifiers (not shape modifiers) so they are perfectly suitable for animation. 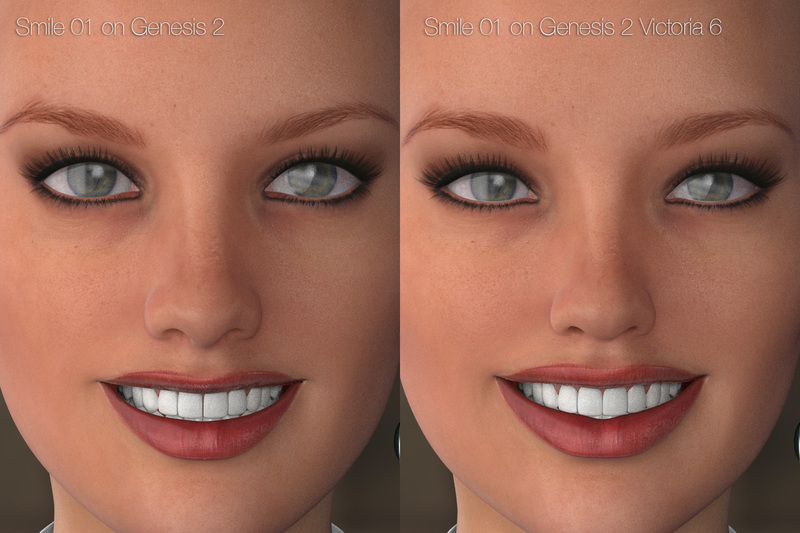 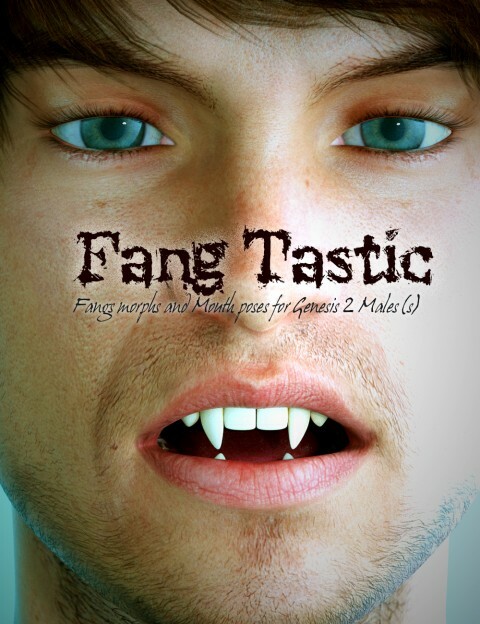 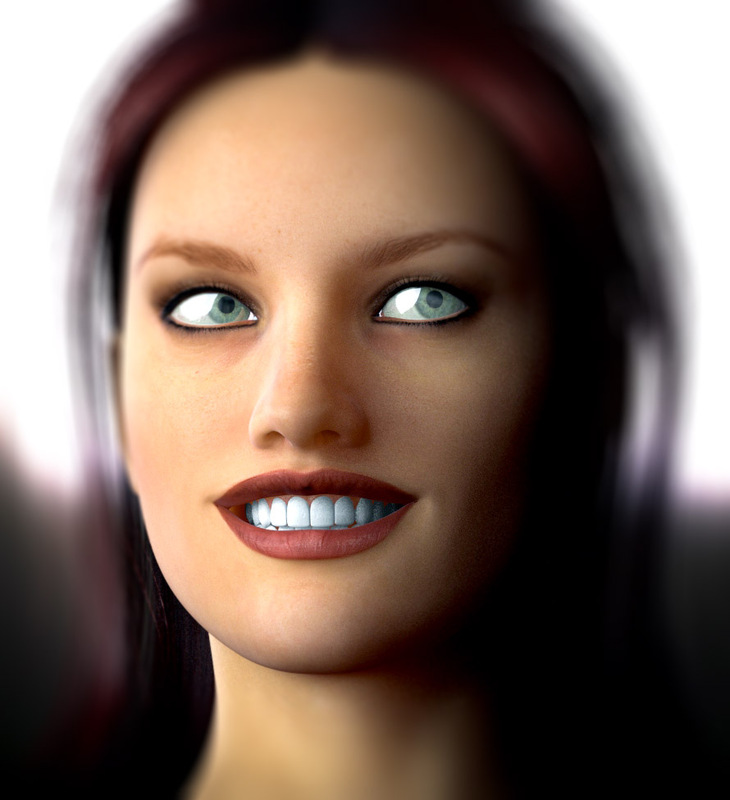 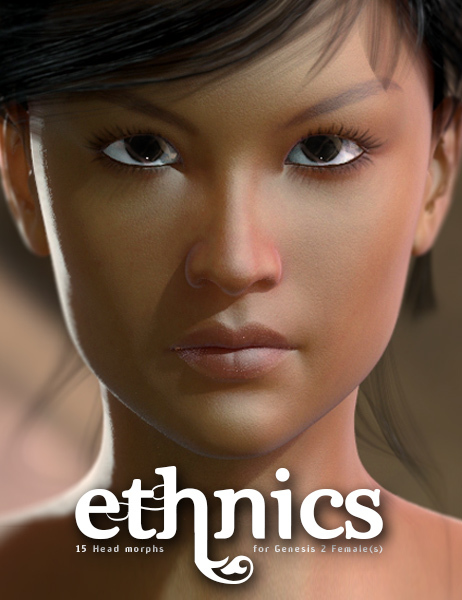 This pack is compatible with Poser via DSON importer (when you launch Genesis 2 Female in Poser via DSON, the 25 dials parameters can directly be found in “Pose Control/Head/Expressions”.